Your child’s first several trips to the dentist can sometimes be scary. Being in an unfamiliar environment with lots of noises and strange equipment can be a frightening thought. Luckily, there are some things you can do to make your child’s trip to the dentist a little easier. The pediatrics team at MGO Dental in San Bernardino, CA, understands the importance of keeping kids comfortable during their visits. By following these tips and with regular visits to MGO Dental, your child will love going to the dentist in no time. Start Them Young: Your child’s first trip to the dentist should be by the age of one but no later than six months after the first tooth comes in. Following this guideline allows your kid to start feeling comfortable with their dentist early on. Teach Good Oral Hygiene Habits: Practice brushing and flossing at home, and always schedule regular trips to the dentist. By teaching your child that regular checkups are essential, you are setting your child up for healthy teeth and gums for life. Stage A Pretend Visit: Try playing dentist at home before you head to the dentist’s office. Count your child’s teeth, and hold a mirror so your child can see what the dentist will see. Give your child a toothbrush so they can play dentist on one of their stuffed animals. Stay Positive: Don’t give your kid too many details, and keep a positive attitude. Use words like “sugar bugs” instead of cavities. The pediatrics dentists will know what to say if they need to talk to your child about anything difficult. Prepare For Fussing: Don’t worry, it's normal for them to fuss a bit. The friendly pediatrics team at MGO Dental knows how to handle your child’s crying, so all you need to do is stay calm. 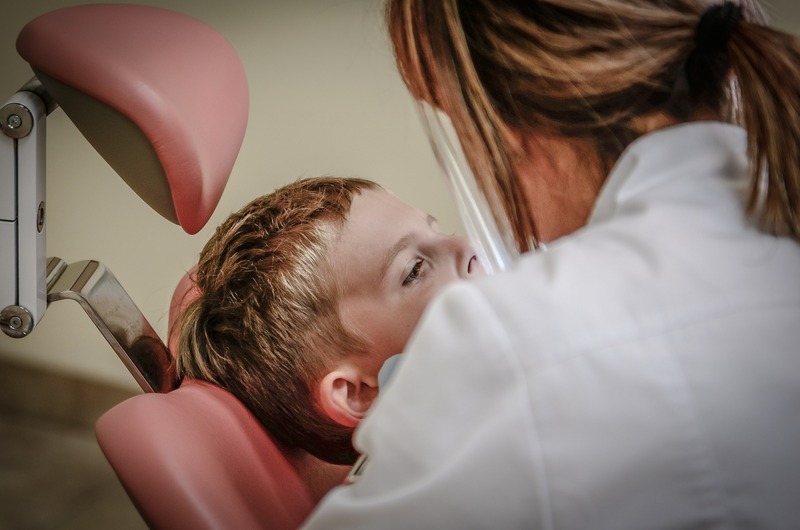 Follow these simple tips and tricks to help your kid overcome their fear of dentists. The sooner your child visits the dentist, the sooner your child has a dental home. MGO Dental is a one-stop shop for dental care, from babies to adults, providing general dentistry, cosmetic dentistry, braces, and all major surgeries. For more information about pediatric dentistry or any of the other services provided at MGO Dental, visit the MGO Dental website or call the San Bernardino, CA, practice at (909) 386-3650 to schedule a visit.